Every morning pilgrims and tourists pile into boats for a ride up or down the river, which at this point is quite low. Some people toss food which results in flock of seagulls as seen above. Many boats are rowed by hand whilst other have antique motors. I took a ride to the maharaja’s fort about two miles up river this morning for a grand cost of 500 rupees, which included nearly two hours of waiting time and the return trip. 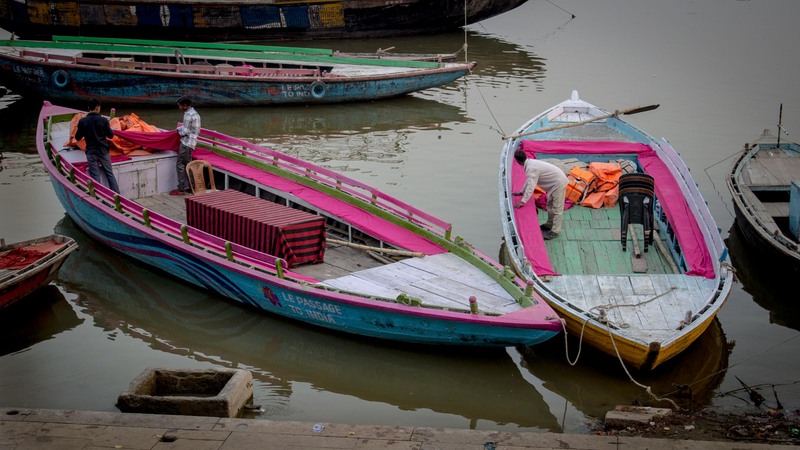 If you are ever here in Varanasi a boat ride should be in your plans. 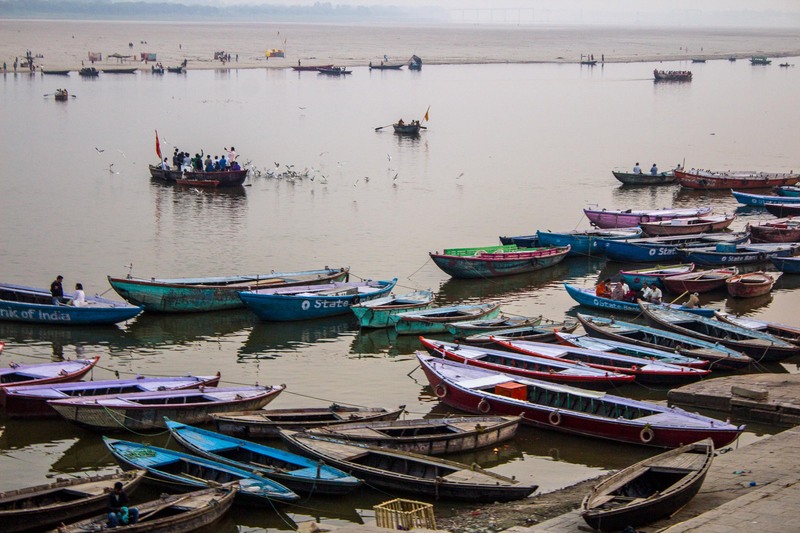 This entry was posted in Color, India and tagged Benares, boats, Ganga, Ganges, india travel, river, Varanasi. Bookmark the permalink.